Anti-abortion organisations pose as non-judgmental counselling agencies to lure potentially vulnerable women with crisis pregnancies. 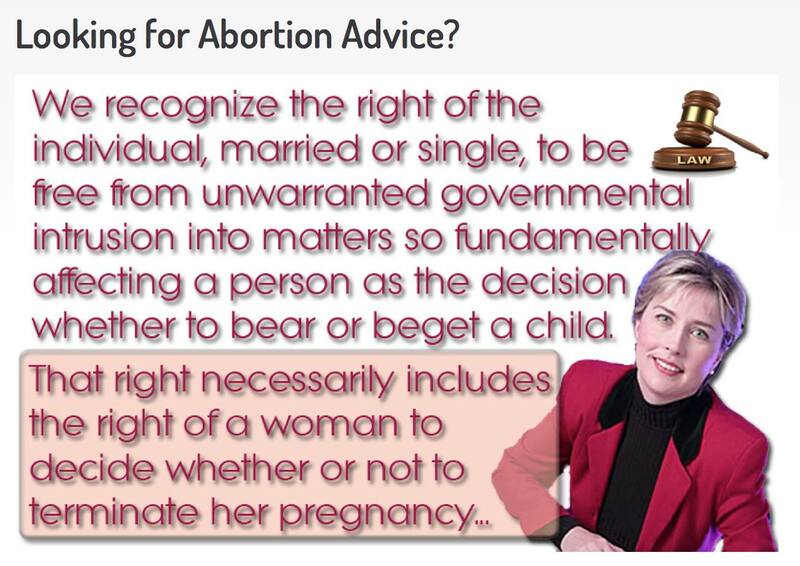 We recently came across a suspicious looking site which claimed to offer “professional one to one confidential & non judgemental advice” on abortion for unplanned pregnancies. Sounds great, right? Well in theory yes. However some of the language on the site Abortion Advice .ie (we won’t link to it) raised our suspicions and we did a little digging. The site is registered to an Eamonn Murphy. 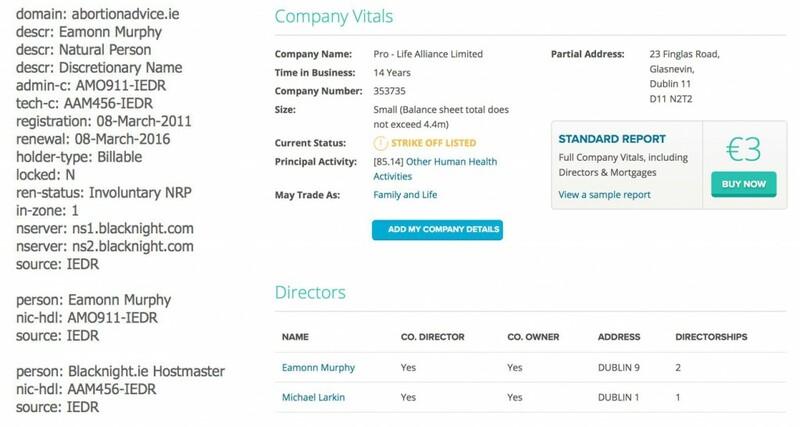 No further info is given about Eamonn except that he is a “Natural Person” and the site was registered on 08/Mar/2011 and renewed on 08/Mar/2016. However a quick google search of “Eamonn Murphy Pro-life” brings you here. Clearly the site is attempting to target vulnerable women in crisis pregnancies who don’t have much information on available abortion services. We are not sure what “advice” they are offering women who call their number but we can be pretty sure it’s not as “non-judgemental” as they claim. Here is a video showing just what sort of advice they offer.